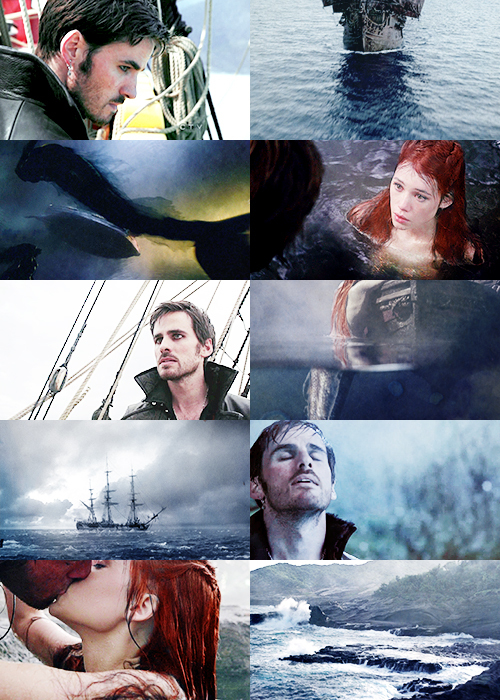 Hook and Ariel. . Wallpaper and background images in the noong unang panahon club tagged: once upon a time hook ariel hook and ariel captain hook. This noong unang panahon fan art contains mainit na batya. There might also be bather, tubig, swimming, and swim. I should also say, this looks amazing, I love it!